Sometimes gardening feels like magic. When you harvest a beautiful crop, all the work falls to the wayside, making it seem like the veggies appeared effortlessly. But, with this week’s potatoes, that’s actually what happened. It all started last spring when I divided up some old potatoes from my kitchen into pieces with eyes on them. You know those gross little plants that grow right out of your old potatoes? Those are the eyes. I planted those suckers right in our soil last April, and I swear to you, that’s all I did. With our endless rain, I never even watered. So, you can imagine my surprise yesterday when I saw a perfectly beautiful potato sitting in the alley outside my fence. I was pretty darn sure there must be potatoes that had grown in our garden, and a squirrel was helping himself to our crop. I set the kids out to dig in the garden like pirates digging for treasure. And treasure it was. 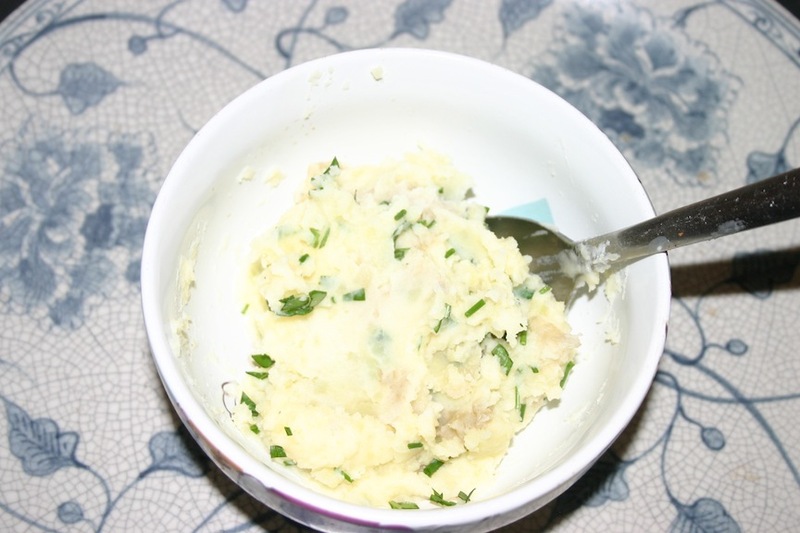 We boiled up those potatoes, mashed them with butter, sour cream and garden herbs and enjoyed a taste of magic for dinner. 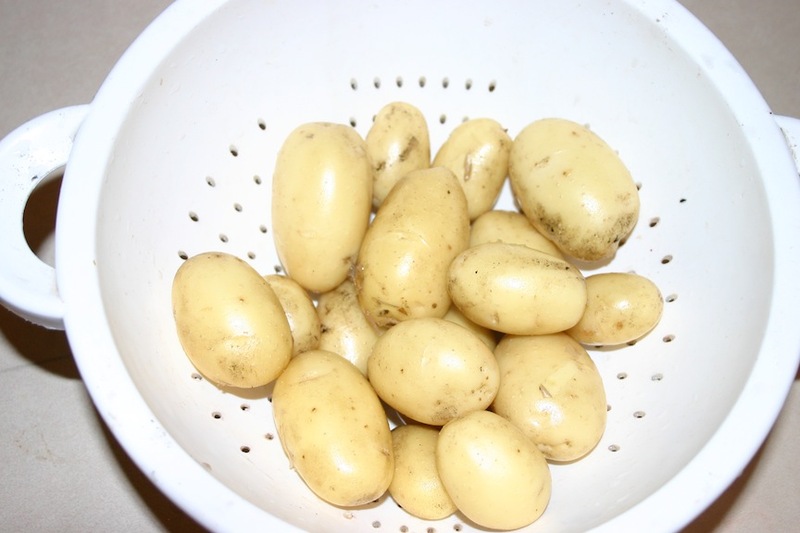 Boil potatoes until soft. Drain and mash them with a fork. Add butter, sour cream, salt, pepper and herbs. Stir and serve immediately.